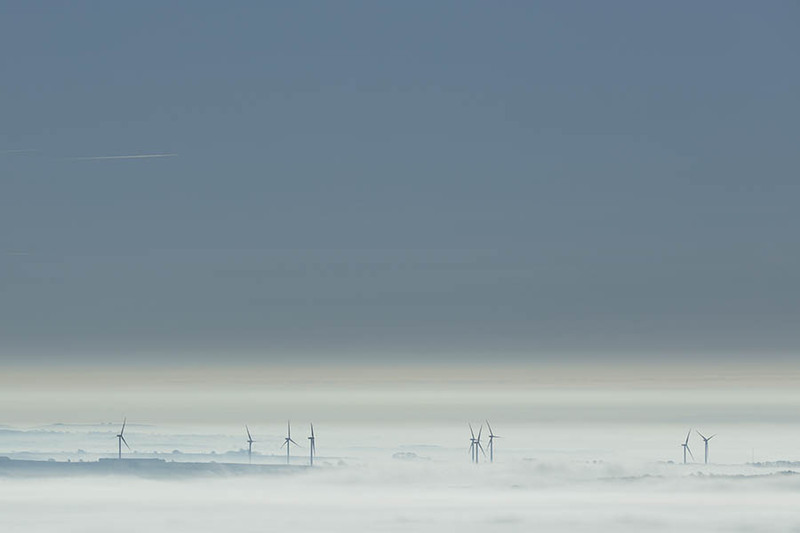 The wind turbines at Batsworthy Wind Farm appear out of the mist looming high above the Devon countryside as the sun rises in the sky and the mist begins to clear on a cold but sunny December morning. Rackenford. Devon. December 2016.